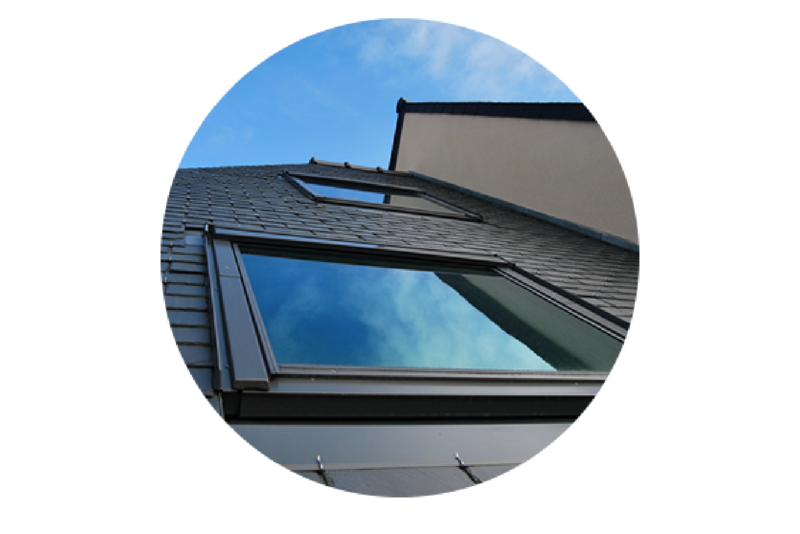 Our expert installers will provide a professional service, with attention to detail without the pressure of production. They are family who take pride in the craftsmanship of their work. We are one of the only companies to utilized chalk lines to ensure your shingles are installed straight and with proper exposure. Have Apex install a new lifetime Algae resistant, architectural shingle on your home. Correcting roof leaks are one our specialties. We have a great track record for timely investigating and analyzing all your roof leak issues, and repairing the area promptly to keep your home dry. Proper ventilation is imperative to prevent the growth of mold. Proper ventilation is vitally important to eliminate excessive heat and moisture in your attic area. Apex uses ridge vents, soffit vents, Can vents, bath fan vents and venting drip edge to assist with his crucial proper ventilation. Apex has resolved thousands of roof leaks since 1981. Apex professional craftsman can install a new skylight to an existing roof or repair currently installed skylight. Apex team can also install any Sun Tunnel to an existing roof or repair your currently installed Sun Tunnel. We can install a wide variety of colored seamless gutters. These gutters will be installed with hidden hangers for more secure connection to your home. 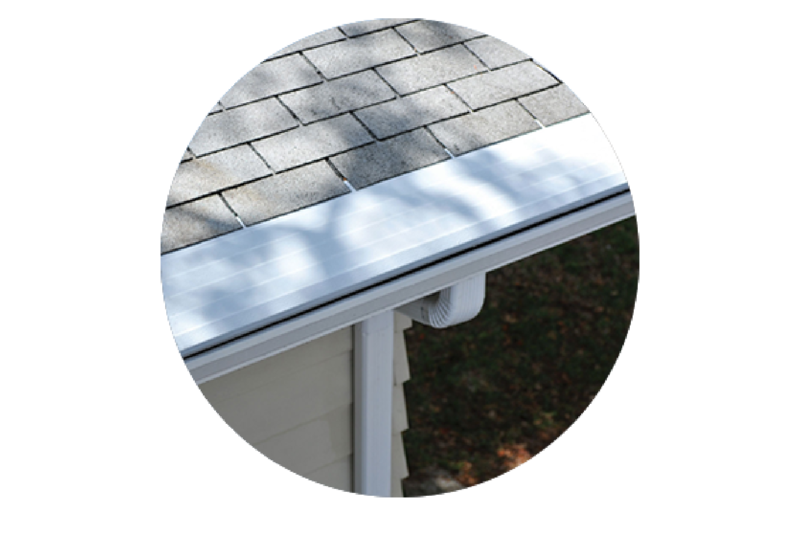 We install gutter guards to prevent the gutters from clogging with debris. Allowing proper water flow to prevent roof, foundation and basement damage. Apex offers a service to remove debris from your clogged gutters. We offer a onetime service or a scheduled maintenance service. Chimneys are one of the top reasons that your home may have a roof leak. 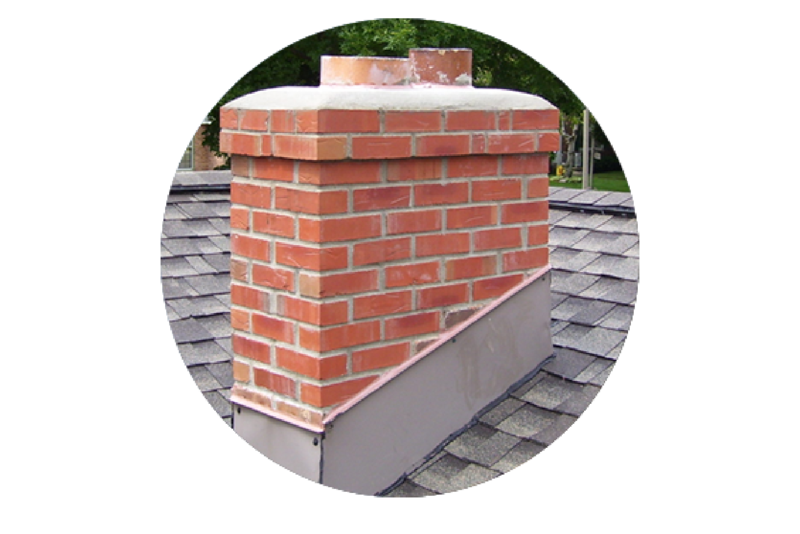 Our team has experience with chimney repair and providing proper flashing to resolve your issues. Apex will investigate, assess all your chimney and roof repair needs. At times a brick mason may be contacted by Apex to assist with specific skilled mason needs. Improperly installed Flashing is one of the main reasons for chimney leaks. The Apex team will put their expertise to work for you. Listed below are the wide variety of additional services Apex can provide for all your roofing needs. 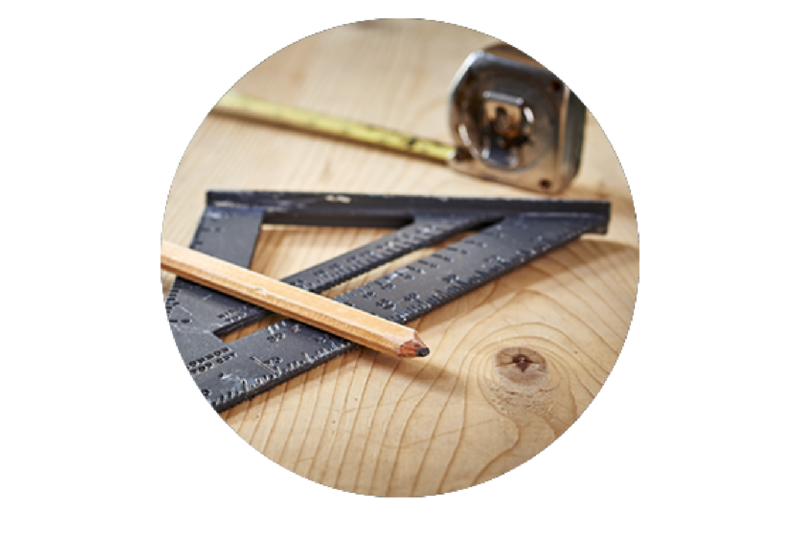 The craftsman at Apex have the skill to repair or correct minor carpentry defects. If necessary, a skilled carpenter will be utilized for specific structural needs. 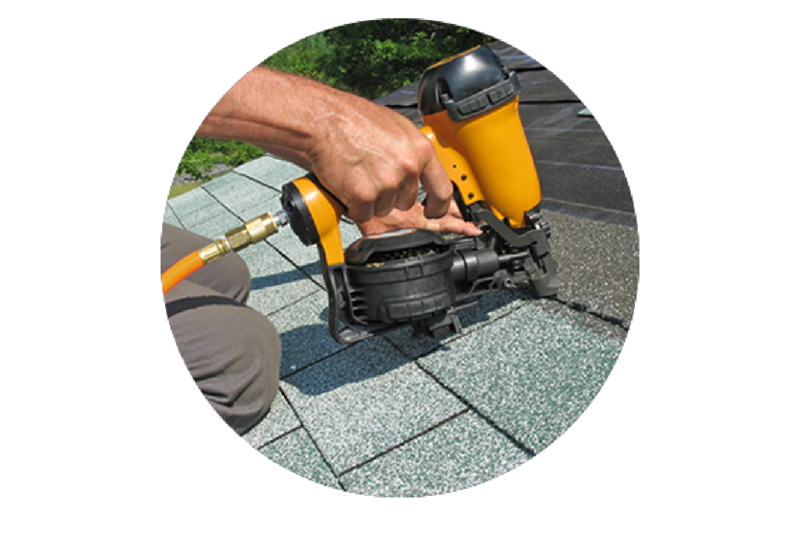 Apex can assess all your shingle needs, whether you have missing shingles or you need a complete roof replacement. We always remove the existing shingles to ensure the wood deck is sound. Proper insulation is another key component in preventing, excess moisture and mold growth. Let us review your all your attic needs. Apex has the necessary equipment to remove the buildup of snow, and minimize ice damming to reduce the weight on your homes roof. Safe removal is key to prevent roof damage during this process. "Apex has now re-roofed the third house for me on two properties that I owned in Livonia, Mi and now in Brighton Mi. Apex has also done work for my family members and fellow employees. They are honest and hardworking and do an excellent job. My experience with Apex goes back to their early years about 1981. To me there is nothing so important for my real estate investments as a good sound roof and I have trusted Apex to deliver on good workmanship every time. I highly recommend Apex to any home owner in the Metro Detroit Area who is interested in a good quality roof system. Workers kept site clean after each day's work."